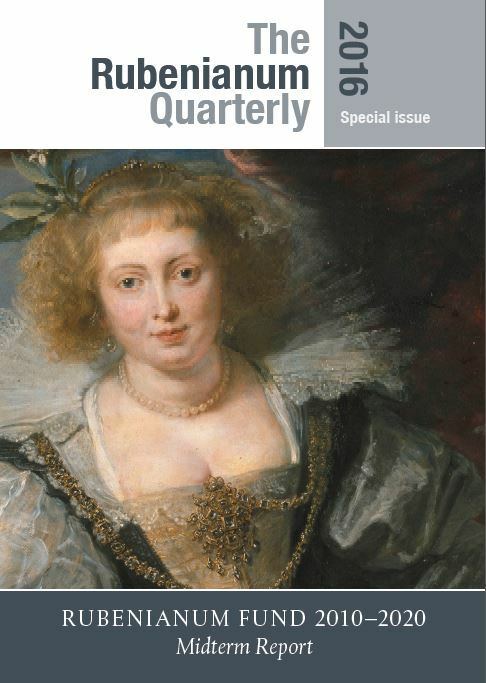 This quarterly, which is published by the Rubenianum Fund, provides regular updates on the Fund’s activities. The latest number reports on the progress of the summer course entitled Study of the Arts in Flanders 2016: The Age of Rubens in Context. In addition, editorial assistant Marlise Rijks tells us about her mission in the light of the next volumes of the Corpus Rubenianum Ludwig Burchard catalogue. You will also find the minutes of a trip made to New York by members of the Rubenianum Fund. This number is accompanied by a special issue about the progress made on editing the Corpus Rubenianum, the planning foreseen for the next editions as well as a number of interviews with the authors of the Corpus Rubenianum.